Hollywood Casino at Penn National in Grantville, Pa.
Trainer George R. “Rusty” Albright is awaiting an Oct. 18 preliminary hearing in Magisterial District Court in Harrisburg, Pa., after being charged on one count of rigging a publicly exhibited contest in Pennsylvania – a first-degree misdemeanor. The charge against Albright, filed on Sept. 11, is the latest in a string of state and federal criminal cases involving trainers, veterinarians and racetrack employees at Penn National in Grantville. 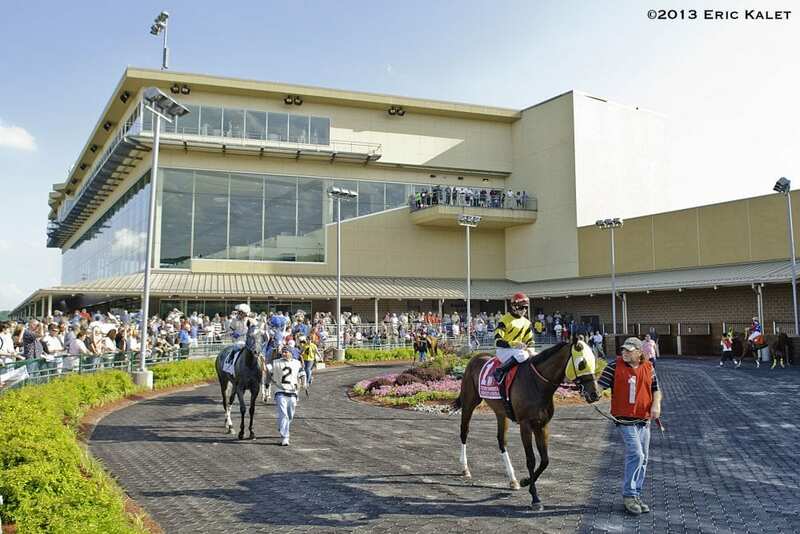 The Federal Bureau of Investigation, working with state and local law enforcement and the Pennsylvania Horse Racing Commission, has led the Penn National investigation, which dates back to 2013, when the first charges were filed. One trainer, Murray Rojas, was found guilty in 2017 on 14 counts of misbranding drugs in a federal jury trial and is awaiting sentencing (the jury found Rojas not guilty of wire fraud). Others have pleaded guilty or had their federal cases dismissed or remanded to state court. Many of the criminal complaints against trainers and veterinarians involved illegal administration of therapeutic medication on race day. Vet and trainer records were seized by officials going back years to demonstrate when the drugs were given and, in some cases concealed, in violation of racing regulations. The Dauphin County District Attorney was the arresting agency in the Albright case, with a summons issued Sept. 18. The case has been assigned to Magisterial Judge Lowell A Witmer. 4109. Rigging publicly exhibited contest. (2) tampers with any person, animal or thing. (b) Soliciting or accepting benefit for rigging.–A person commits a misdemeanor of the first degree if he knowingly solicits, accepts or agrees to accept any benefit the giving of which would be criminal under subsection (a) of this section. (c) Participation in rigged contest.–A person commits a misdemeanor of the first degree if he knowingly engages in, sponsors, produces, judges, or otherwise participates in a publicly exhibited contest knowing that the contest is not being conducted in compliance with the rules and usages purporting to govern it, by reason of conduct which would be criminal under this section. Albright, based at Penn National, has been training since 1993 and has 378 career wins from 3,864 starts. He is currently 14th on the list of leading trainers at Penn National with 19 wins from 107 starts. Albright has horses entered Oct. 4 at Penn National and Delaware Park. UPDATED: According to the court docket, the alleged offense occurred May 17, 2013. That night at Penn National, Albright ran two horses, one finishing third and the other sixth. This entry was posted in NL List, The Biz and tagged fbi, george r. albright, lowell a. witmer, penn national indictments, pennsylvania horse racing commission, rigging publicly exhibited contest, rusty albright, William Fetterhoff by Ray Paulick. Bookmark the permalink.